I've been meaning to post pictures some of our decorations and I hadn't gotten around to it. Here's the fabric-scrap wreath that I bought on Etsy. 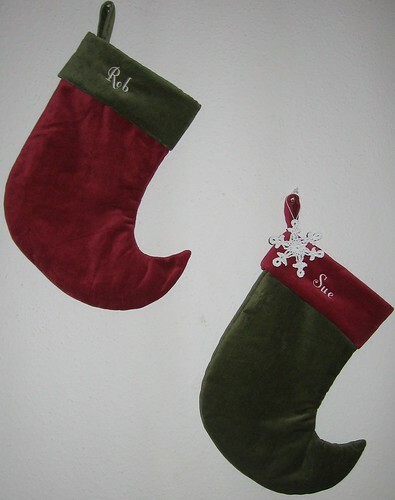 Here's my one-and-only Cyber Monday purchase, a pair of velvet stockings from Pottery Barn. 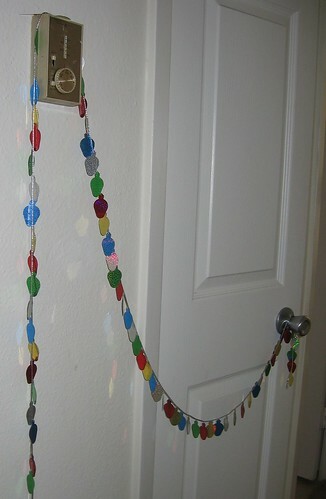 I didn't know what to do with this string of garland so it got draped around a doorknob and over the thermostat. 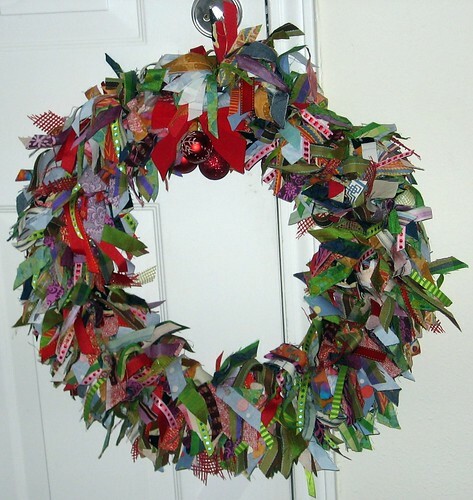 Love that wreath, great way to use up ribbon and scraps!